Why spend money on an Easter Egg dye kit when you most likely have several natural dyes in your home right now. 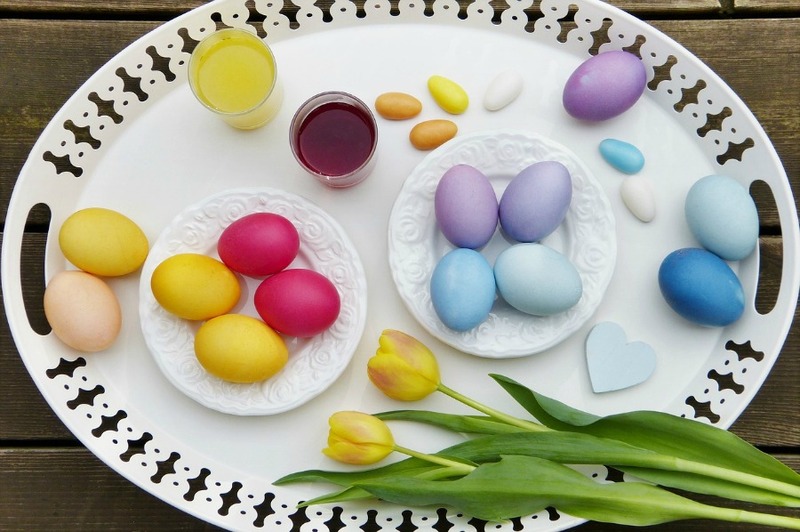 Using berries, vegetables, and even spices, you can create just about any color Easter Egg dye you want, ranging from spring-like pastels to deep hues. Best of all, once finished you can toss all your leftover dye in the compost pile! 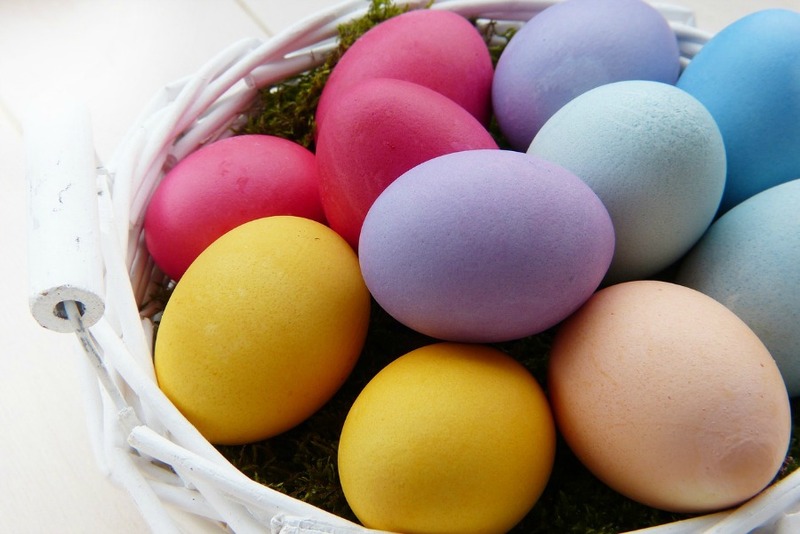 Check out these natural dyes for Easter eggs and get ready to make gorgeous, fun-colored eggs that are perfect for your Easter Egg Hunt! Keep in mind that when you use natural dyes for Easter Eggs, it will take longer than using a dye kit. Depending on the material used to create the dye, it can take anywhere from several hours to overnight. So be sure to plan ahead and leave some extra time to get the results you want. Begin by bringing the dye matter and water to a boil. Turn the heat down to low and simmer, covered, for 15-60 minutes until desired color is reached. The eggs will be several shades lighter than the dye so it’s best to go for deep, rich hues. Check by dipping the corner of a white rag into the dye to get a general idea of depth of color. Next, remove the liquid from heat and let cool to room temperature. Now pour the dye through a mesh strainer into bowls and add 1 tablespoon of vinegar for each cup of dye liquid. Begin by adding the eggs to a medium pot filled with cold water. There should be enough water to completely cover the eggs. Bring the water to a boil. Once boiling, turn off the heat and cover the pot. After 10 minutes, place eggs in a bowl of cold water and let them sit until they’re cool to the touch. Next, drain the bowl, and add some warm, soapy water (I prefer to use castille soap). Gently rub eggs with a washcloth or your thumb to remove any dirt or oils that will prohibit the natural dyes from adhering to the egg shell. Gently lower the eggs into the dye then place them in the fridge. Soak until your desired color is reached. When the eggs are ready scoop them out with a spoon and place on a drying rack or an upside down egg carton. Cut hearts, flowers, circles, stars, and other designs out of colored tissue paper. While the colored egg is still damp, lay the tissue paper design on top of it. The juice residue will work like glue to keep the design on the egg. Add some sparkle and shine by sprinkling a little bit of glitter over your eggs. Add some stickers for an easy, yet fun decoration. Great idea! I will have to try that with my grandkids. Wow! Those natural dyed eggs are so pretty! Much better than the eggs we usually end up with. I’m going to have to do natural dying this year! Thanks for sharing! Oh so natural and environment friendly. I like this. Thanks for the info. What a wonderful idea–natural dying of the eggs–these natural dyes would work well to make tie dyed clothing as well!! Great job Alaina! I like to see decorated eggs. Have a great weekend. I am following you in many ways – Bloglovin’, Facebook, Twitter, Pinterest, Linky Followers and GFC. I can’t believe how vibrant the colors are, just from natural sources! Fantastic information. Thanks. I definitely want to try these!!! Thanks for posting! Thanks for posting! This is a fantastic alternative to the dye kits and it is natural! I think it is also a great way to use up some of the odds and ends I have in my pantry. I just pulled out some old tea and was going to throw it out now I can use it to dye eggs! These are absolutely gorgeous! My daughter does not like coloring Easter eggs, but I will keep this in mind. I’m going to pin it! OMGoodness! So rich and vibrant! 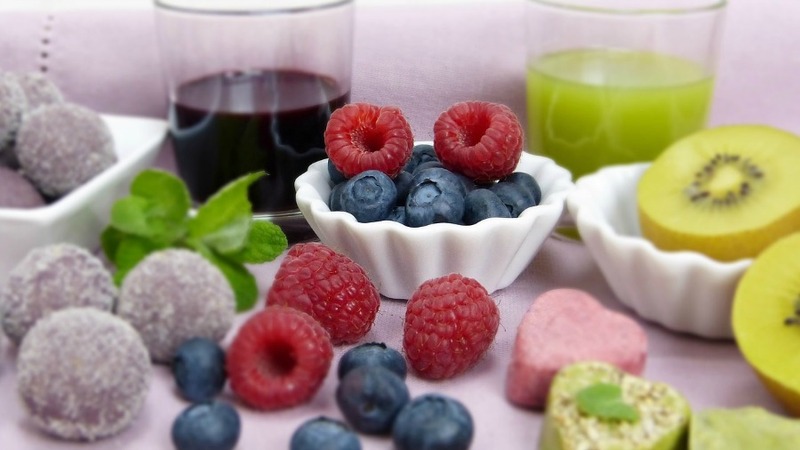 I never thought of using foods, I am returning the support for Fit and Beyond 40, I followed back on bloglovin, and I added you on G+ and Networkblogs. Looking forward to the connection! These look Great, I just dyed eggs for the second time. I had to try another technique with shaving cream. Your colors are nice and bright!! Such fun and something I can do with my son. Thanks for sharing this with us. I am so overwhelmed right now with all this new information! There are so many cool options and I cant WAIT To try them with my son! He loves to cook and loves science so this will be right up his alley – a fun experiment with foods and spices! Maybe with my preschool class as well. Awesome Tutorial Thank you. That is seriously cool! Those are some bright colors!